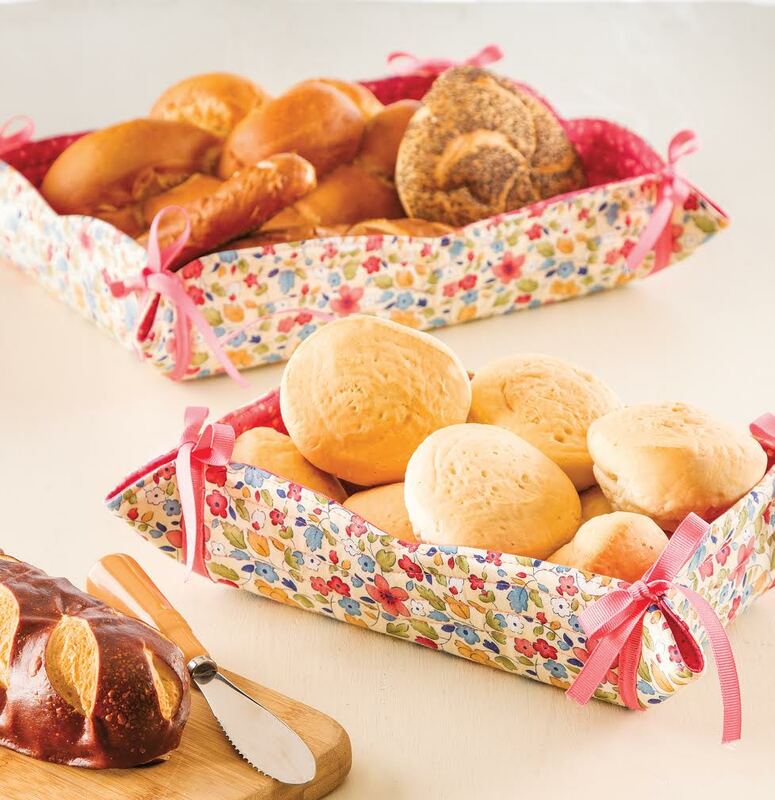 My pattern for the Nesting Bread Baskets was just published in the Summer 2015 edition of the Quilter's World magazine. I am still waiting for the shot they printed in the magazine, and will update this post with their photo as soon as I receive it. You can make this set in a couple of hours and customize them for the season. They make a great gift! The fabrics I chose are super cute - too bad I did not have a lot of them. However, this set is mine, and I will make more to give away to my friends and family. 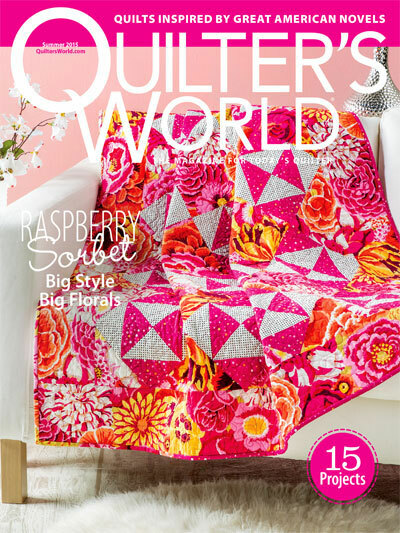 Photograph by Matthew Owen for Quilter's World. I pieced and quilted it using Aurifil 50 wt threads - I find my piecing is much more accurate with Aurifil threads. 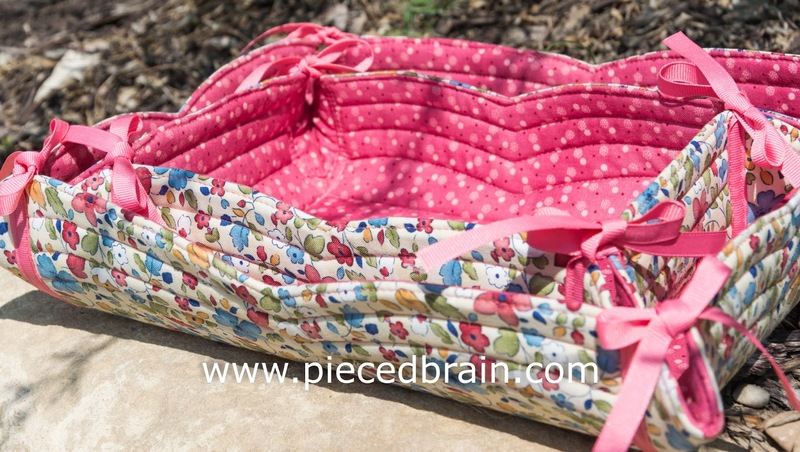 The quilting, although simple, added just enough texture to the baskets. 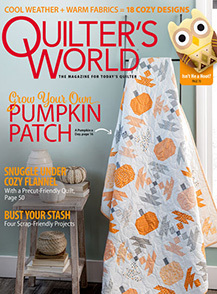 So, if you are in the mood for a quick, fun project, check it out in Quilter's World. This Summer issue features 15 great, colorful, creative designs which I am sure will get you inspired. 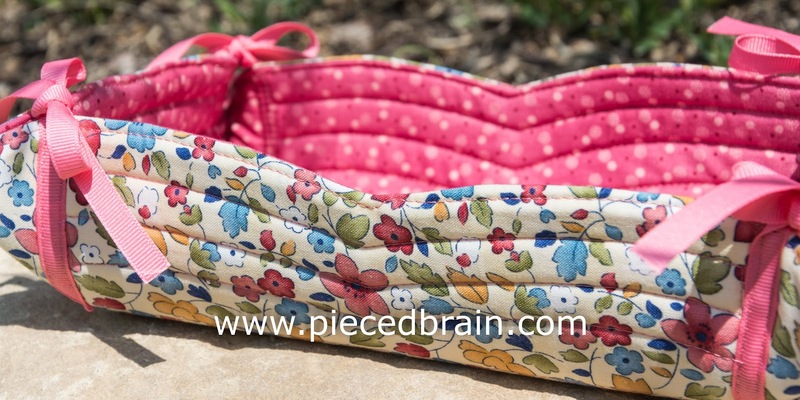 I loved your pattern for the nesting bread baskets - it was the only pattern I saved from the issue and I have begun to make them for my friends and myself. Thank you for the inspiration and idea!